The Small Arms Survey, an independent Swiss research group, released a report suggesting that the Sudanese government is arming David Yau Yau’s militia in Jonglei state, South Sudan. This supplements former allegations by the U.N. peacekeeping mission in South Sudan, or UNMISS, and the government of South Sudan that Sudan is supplying arms to the Yau Yau rebellion to destabilize the region. Despite the recent normalization of bilateral relations between Sudan and South Sudan, South Sudan’s Government Spokesman Barnaba Marial Benjamin accused Sudan of supporting Yau Yau’s rebellion to increase insecurity in Pibor Town, Jonglei. As Pibor borders Ethiopia, this would impede South Sudan’s plans to build an oil pipeline through Ethiopia. In turn, a rebellion would force South Sudan to continue relying on transit routes through Sudan. In February, representatives from the Small Arms Survey interviewed defecting militia members, including commanders. These interviews confirmed that the group’s arms and ammunition were supplied by airdrops orchestrated by Sudan’s National Intelligence and Security Service between August 2012 and December 2012. Additional arms and ammunition deliveries were scheduled for January 2013. The Yau Yau militia was founded by David Yau Yau after he lost his seat in the Jonglei State Assembly in the April 2010 Sudanese general elections. Despite a June 2011 peace deal that granted him amnesty, Yau Yau resumed his rebellion in April 2012. During attacks in August 2012, the Yau Yau militia killed over 100 SPLA soldiers. By November 2012, the U.N. reported that over 10,000 people were displaced in Pibor. 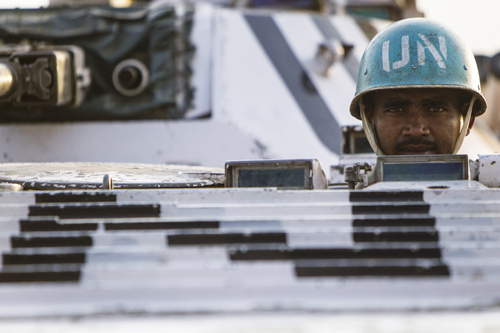 The Yau Yau militia is also suspected in the recent attack in Jonglei that resulted in the deaths of five Indian peacekeepers, two UNMISS national staff, and five civilian staff contractors. This attack was widely condemned by the international community. Compelling evidence advanced by the Small Arms Survey report, supported by previous evidence collected by UNMISS and the SPLA, demonstrates Sudan’s probable role in arming the Yau Yau militia. The international community cannot condone this level of support for a group that is actively destabilizing South Sudan and attacking internationally-sanctioned peacekeeping forces. For Sudan and South Sudan to realize a lasting peace both states must immediately cease all support for rebel groups operating within the other’s territories.